188 pages | 7 B/W Illus. 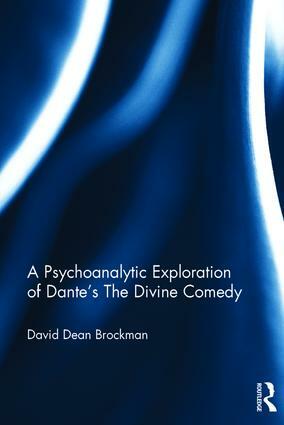 David Dean Brockman connects spirituality with psychoanalysis throughout this book as he looks at Dante’s early writings, his life story and his "polysemous" classical poem The Divine Comedy. Dante wanted to create a document that would educate the common man about his journey from brokenness to growth and a solid integration of body, self, and soul. This book draws the resemblance between Dante’s poem and the "journey" that patients experience in psychoanalytic therapy. It will be the first total treatment of Dante’s work in general, and The Divine Comedy in particular, using the psychoanalytic method. This fascinating study of Dante’s The Divine Comedy will be of interest to psychoanalysts, psychotherapists, and psychiatrists, as well as those still in training. Academics and students of psychology, spirituality, religion, and literature may also be interested in Brockman’s in-depth study of Dante’s work. David Dean Brockman, M.D. is Training and Supervising Psychoanalyst and Emeritus Faculty at The Institute for Psychoanalysis of Chicago, and Clinical Professor at the University of Illinois Department of Psychiatry. He has had a clinical practice of psychiatry and psychoanalysis for more than fifty years.